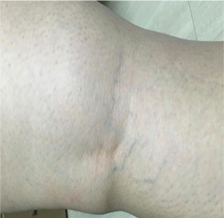 The laser treatment of spider angioma, facial telangiectasia, and spider veins, and varicose leg veins comprise a large majority of the patients seen in cosmetic dermatologic surgery practice. Some of laser devices for these treatments are 1064nm neodymium yttrium-aluminum- garnet laser (Nd:YAG). 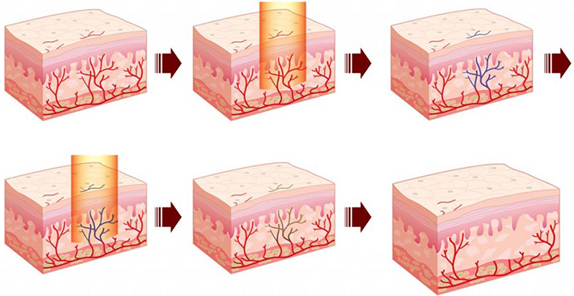 The mechanism of action is based on the theory of selective photothermolysis. For effective laser treatment with selective photothermolysis, the laser needs to penetrate to the depth of the target vessel. 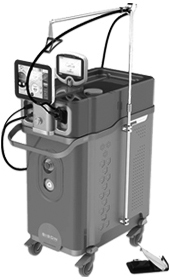 In addition, the laser exposure needs to be long enough to cause sufficient slow coagulation of the vessel. The preferential absorption of photon energy by the target chromophore at specific wavelengths of light creates thermal energy, allowing for selective destruction of oxygenated and deoxygenated hemoglobin with only minimal damage to the surrounding tissues. 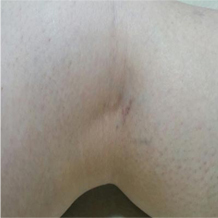 This allows for selective destruction of superficial vascular lesions with minimal scarring.